Posted On November 14, 2012 by &filed under Legal Tips. Public Trusts, at times synonymous with foundations, can be created for public charitable purposes. There is no allIndialevel Act for setting up public charitable trusts. Some of the states inIndiahave enacted Public Charitable Trust Act, while most states inIndiado not have a trust act. An NGO can be created only under a public trust act. Madhya Pradesh and Rajasthan have independent state level public trust acts. Some states, likeWest BengalandBihar, do not have any act to register a public trust. A trust can be registered in one State, but the same may have a scope to operate in any number of States. In the state ofMaharashtraandGujarat, all organizations that are registered as ‘Society’ are by default also registered as Public Trust. The trustees are required to manage the trust and they are also liable for breach of the trust. Trustees are individually as well as collectively responsible for every action carried out on behalf of the trust. 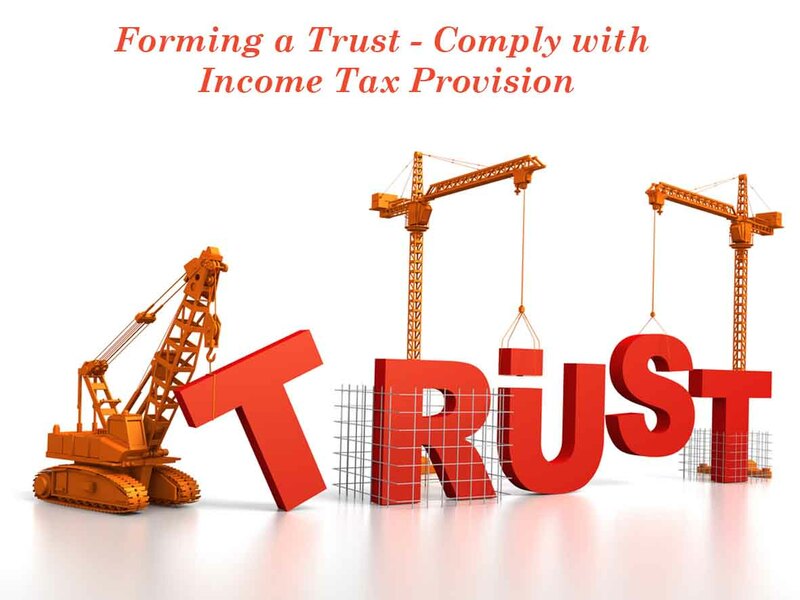 A private trust, created under and governed by the Indian Trusts Act of 1882, aims at managing assigned trust property for private or religious purpose. A private trust does not enjoy the privileges and tax benefits that are available to public trusts or NGOs. InIndia, there are thousands of trusts created by the owner of industrial houses and rich individuals and their families. Public Charitable Trusts, under Indian laws are treated as organisations with charitable purpose entitling all the tax benefits applicable. Examples of Public Charitable Trusts promoted by business families are Sir Dorabji Tata Trust, Paragon Charitable Trust, etc. Under Indian Trust Act, a settler can create a trust with his or her own personal property, designate one or more trustees and lay down the terms and conditions benefiting the identified beneficiary(ies) including one’s own child, relative or any other individual or group of individuals. Private trust or family trust is not a Public Charitable Trusts and hence does not enjoy the privileges entitled to a trust with charitable purpose. What are the Disadvantages of Trust? Detail of all members or trustees of the trust with their address and PAN no. The original copy of Trust Deed evidencing the creation of the Trust. Can a trust be of profit motive? Is there a lower limit / minimum deposit for starting a charitable trust? And how frequently does a Charitable trust need to be audited by a CA or other bodies? Trusts need to be registered only if they have some immovable property in them, either gifted by the settlor or bought directly by the trust. Can a person who is in government service be a trustee of family trust. If not, then can his minor son be a trustee? 105 queries in 0.178 seconds.